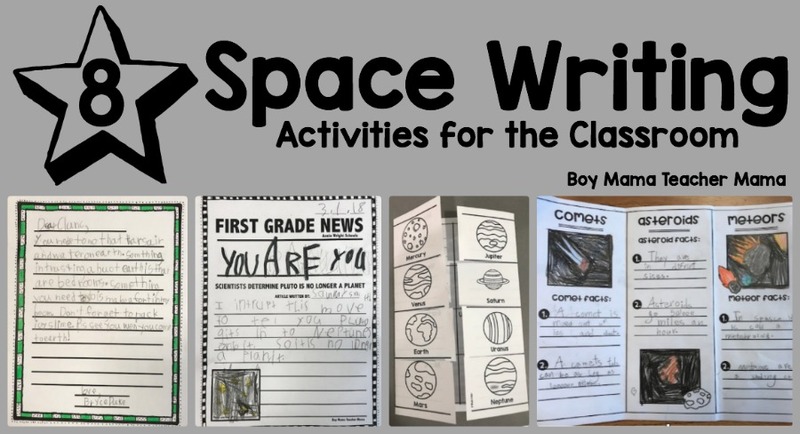 We just finished our unit on Space which is always a favorite for first graders. This year I introduced a lot more writing into our unit and wanted to share them all with our readers. There are all kinds of writing activities in this post. I hope you can find something that will help you in your study of space! 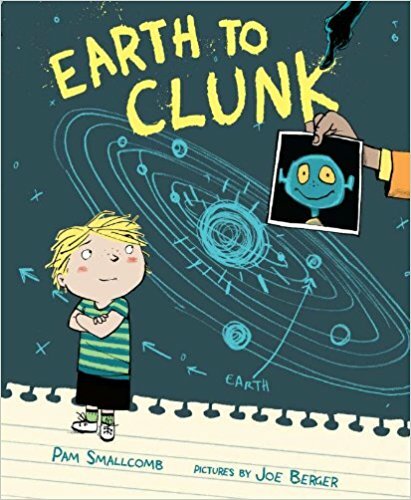 After reading the book, Earth to Clunk by Pam Smallcomb, students imagine they have an alien pen pal. 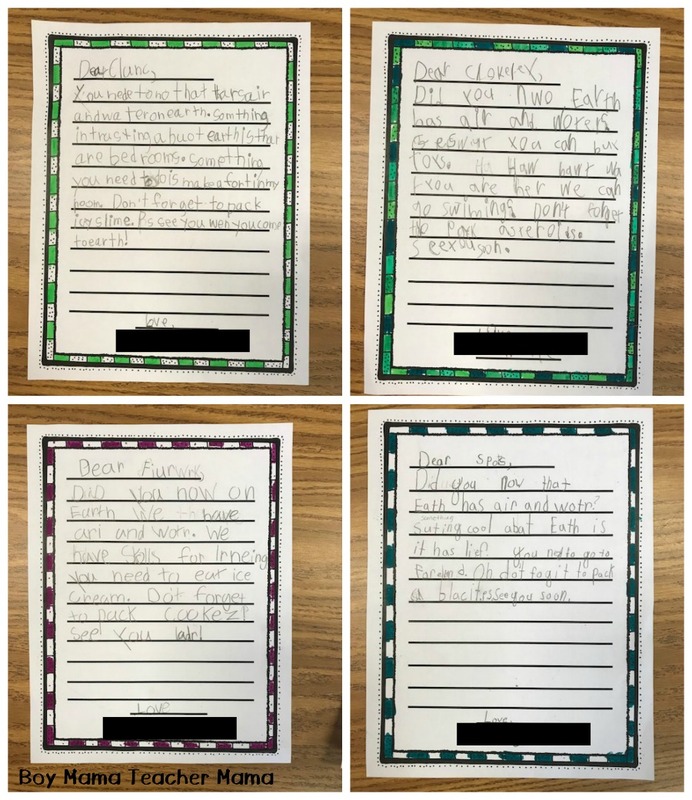 Students name their pen pal and then write a letter. In the letter, they must include some facts about Earth, something they want their buddy to see and do while on Earth as well as a don’t forget to pack reminder. My students loved this activity! Especially the part where they reminded their friend what to pack. Their ideas ranged from books, to asteroids to shoes for all the walking they will do on Earth. Planning sheet included! 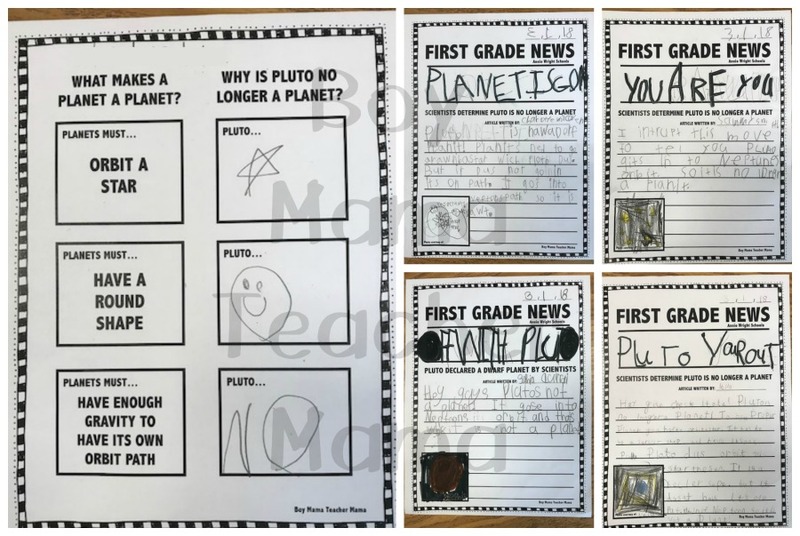 Kids are so surprised every year that Pluto is no longer considered a planet and has been reclassified as a dwarf planet. 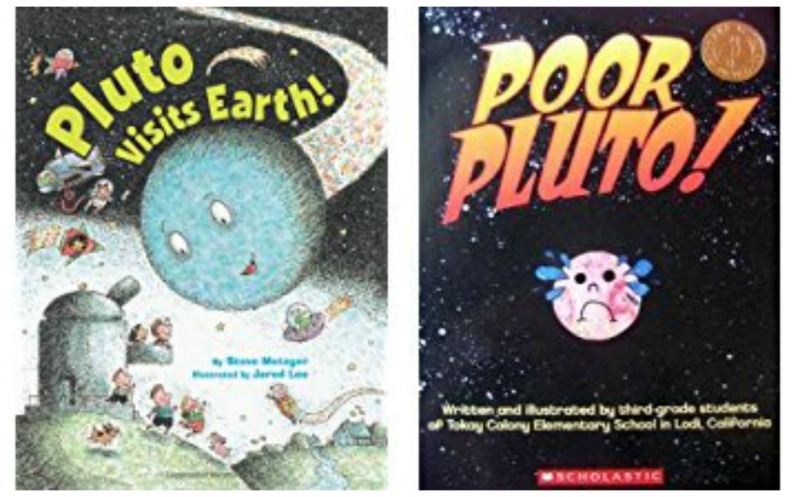 After reading, Poor Pluto by California Third Grade Class Tokay Colon and Pluto Visits Earth by Steve Metzger, we learn discuss what defines a planet and why Pluto does not meet the criteria. Students then write a newspaper article explaining to the world the reasons. 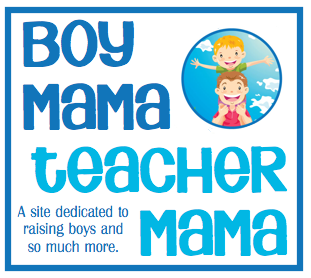 Plan sheets and several different templates included. 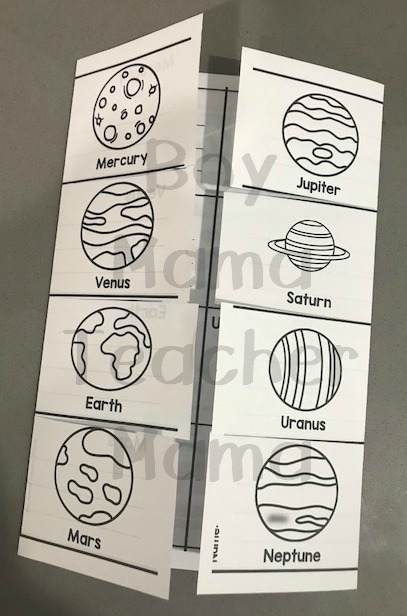 After learning about each planet, students record a fact in this flip book and color the planets. 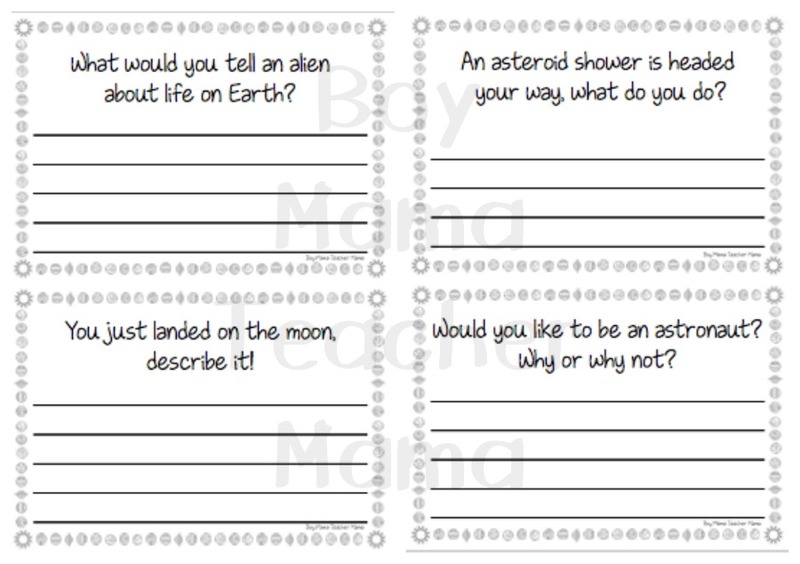 Students record what they have learned about astronauts in this have, can and do trip-fold. 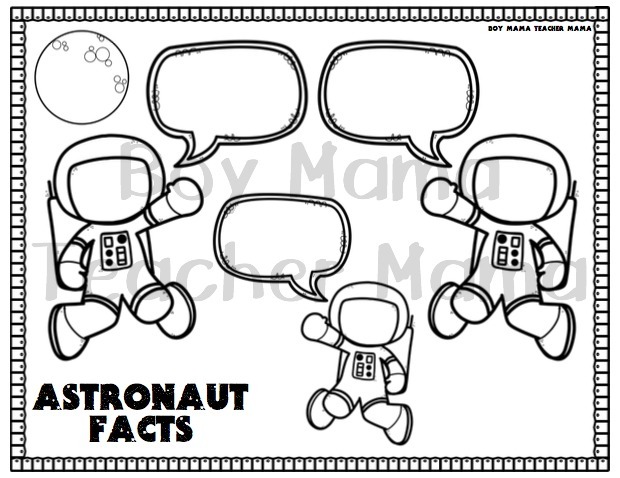 A FREE, fun and easy way for students to record facts they learn about astronauts. After watching videos and reading books about what meteors, asteroids and comets are and what they are made of, students create this trip-fold with facts and illustrations. Great for morning work or those extra 10 minutes before lunch. 18 different space prompts to inspire your writers. 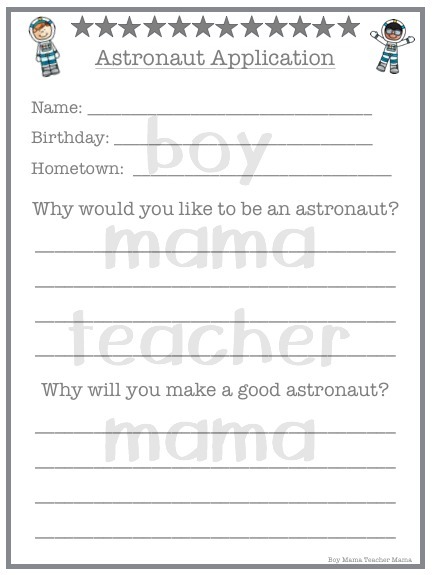 Students use their knowledge about themselves to apply for a job as an astronaut.